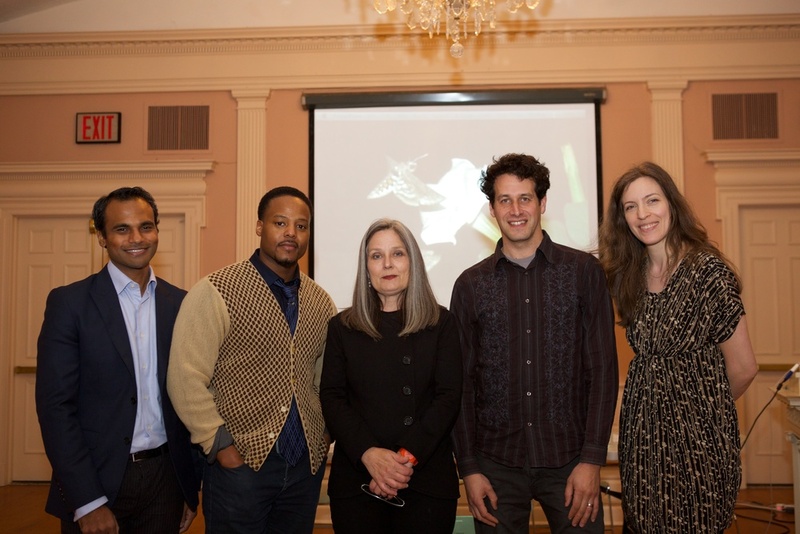 Frances Whitehead, Professor of sculpture at the Art Institute of Chicago, presented her ambitious, interdisciplinary work in Chicago. Whitehead "embedded" herself within the Department of City Planning in order to provide the skills, perspective and training of an artist to land‐use decisions. At the time of the lecture, she was working with the landscape architecture firm Michael Van Valkenburgh Associates on the redevelopment of the "606," a central corridor and rail line in Chicago, a project that is now complete. Mitch Cope is co‐founder with partner and wife Gina Reichert of Design 99 and Power House Productions based out of Detroit, Michigan. Faced with an onslaught of evacuated homes and rising crime, the duo started Design 99 as a flexible, affordable architecture and art studio. Power House Productions is a nonprofit organization focused on neighborhood stabilization through art and culture. Projects implement both low and high‐tech strategies for re‐envisioning and re‐knitting communities rife with foreclosures, arson and abandonment—with the now demonstrated result of attracting new residents and investment. Following presentations from Cope and Whitehead, New Haven‐based artist Titus Kaphar joined the stage for a moderated conversation examining the practice of art in the civic arena. 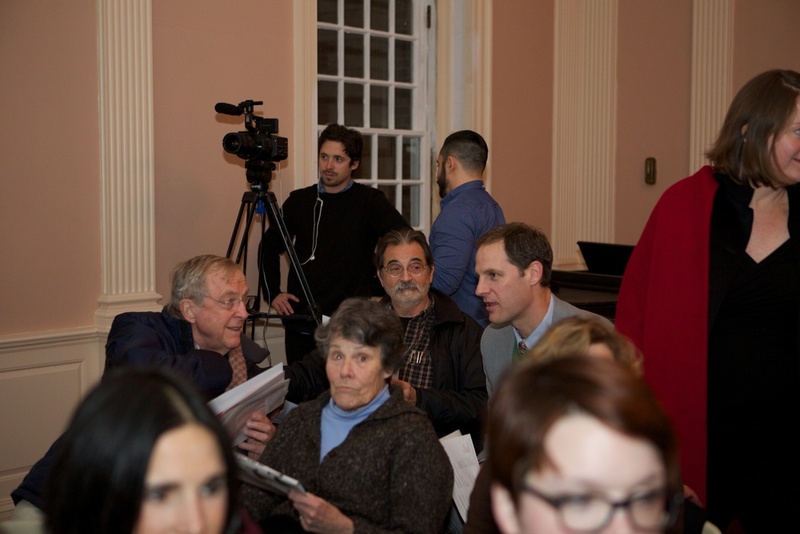 This programming was supported in part by Connecticut Humanities. This event was recorded. See video documentation below. 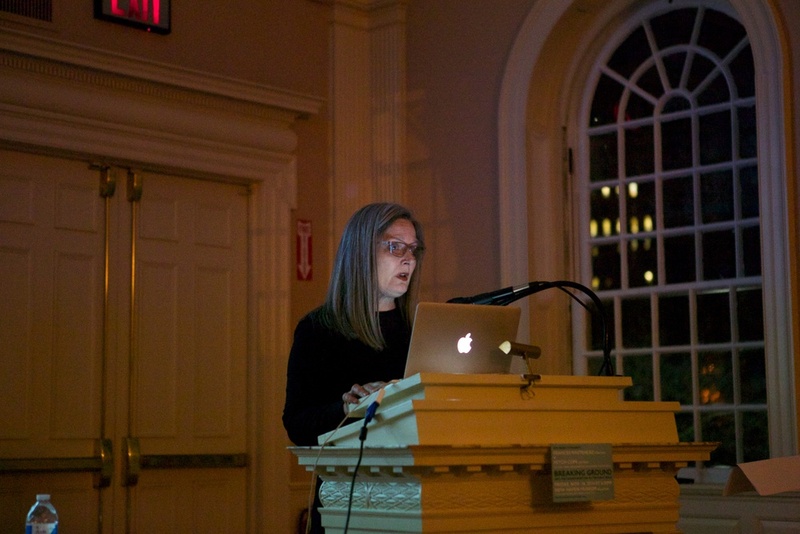 Whitehead gives a presentation of her ambitious, interdisciplinary work in Chicago. Professor of sculpture at the Art Institute of Chicago, Whitehead “embedded” herself within the Department of City Planning in order to provide the skills, perspective and training of an artist to land-use decisions. Currently she is working with the landscape architecture firm Michael Van Valkenburgh Associates on the redevelopment of the “606,” a central corridor and rail line in Chicago. Part of SITE PROJECTS 2014 series Catalyze + Celebrate: Commissions + Conversations. Part of SITE PROJECTS' 2014 series Catalyze + Celebrate: Commissions + Conversations, Detroit-based artist and curator Mitch Cope presents his work, including Design 99, an innovative design studio for investigating new models of contemporary art and architectural practice.